If you are a DCN publisher member, please be sure to log in or register to access a PDF of the presentation. Approved presentations appear below the speaker’s headshot. Special Guest: Laura Sullivan, Senior Attorney, Division of Advertising Practices, FTC, will discuss the FTC’s recently released guidance regarding native advertising disclosures. On this webinar, we will conduct a members-only discussion of 7 key questions/challenges facing publishers regarding compliance with the EU’s General Data Protection Regulation (GDPR). By separate email, we will circulate the 7 questions that will be discussed. In that email, members of the Legal and Legislative Committee will be invited to participate in a confidential survey, the results of which will be disclosed on the webinar. Specific companies and names will be removed from the results of the survey and will not be shared publicly. Please feel free to forward this invitation to others in your organization that may be interested. On this webinar, we will hear from companies and organizations offering GDPR compliance solutions for publishers. 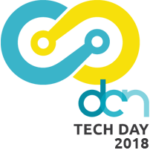 We have confirmed the participation of TrustArc, MetaX, OneTrust, PageFair, PrivacyCheq and DigiTrust. Please feel free to forward to others in your organization that may be interested. AVAILABLE SOON – If you are a DCN publisher member, please be sure to log in or register to access a PDF of the presentation. Approved presentations appear below the speaker’s headshot. 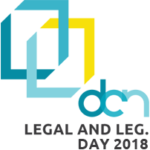 This is an exclusive, members-only event, designed for senior legal and policy executives from DCN publisher member companies. The day’s discussion will focus on legal, legislative and regulatory issues facing publishers. 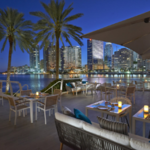 Speakers will be comprised of DCN members, industry experts and leading policymakers sharing their perspectives on best practices and cutting edge developments on these topics. We hope you will join us in this discussion. If you are a DCN publisher member, please be sure to log in or register to access a PDF of the presentation. 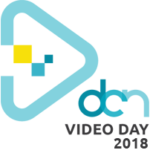 Join DCN members — video content creators, technologists, sellers and marketers — at our members-only Video Day where we’ll discuss the critical issues, challenges and innovations important to a successful video business. We’ll explore the core of our business: powerful stories and the people who create them. 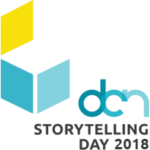 We’ll highlight the content superstars (and super stories) from inside and outside the DCN membership – from trusted journalists to those exploring the future of storytelling. You’ll walk away inspired by the work of your peers and challenged to think in new ways. 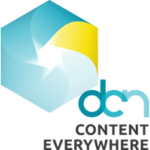 If you are a DCN Publisher Member, you can log in and see last year’s approved presentations here.